Integrated addiction treatment should focus on an individual AND their family environment. More on best practices in family therapy for addiction here. In the past, it was common for someone in recovery for drugs or alcohol to receive treatment individually, often removed from their home, community, and family. However, more recent research findings have shifted our approach towards a more integrated treatment that not only focuses on the individual but their family environment as well. Treating the addict is only the first step in the overall healing process. Everyone in an addicted family system needs to participate in the treatment process. Most treatment programs only teach the family how to deal with their addicted loved one, not how to heal themselves. Family members must learn new ways to cope with stress and address their individual issues or needs in order to heal as a unit with their recovering loved one. When the family is left untreated, the addict in residential or outpatient treatment will return to the same stressful, unhealthy, dysfunctional environment, making their future relapse more likely. This article reviews approaches families can take when working with a systemic addiction issue. We’ll look at the benefits of family therapy, and outline what you can expect. Finally, we invite your questions about going to family therapy at the end. The general term “family therapy” refers to a group of treatment styles which target the familial group (or that of any close social supports) rather than just the individual addict. 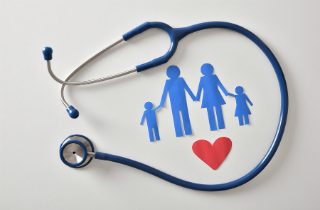 All of the various treatment styles assume that families are connected, and that by modifying even just one part of the whole you can beneficially affect the other parts. What this concept means is that the mental condition of a family can play a big role in a successful recovery. …and even family can contribute to, perpetuate, and exacerbate a person’s addiction. Yet, just as importantly, when any or all of these groups participate in a treatment program for a patient, they will dramatically increase the chances of successful long-term sobriety. Examples of issues which may be addressed in a family therapy session include parenting skills, abuse, depression, family conflict/communication styles and employment issues. …and more. Even if the addict doesn’t have an actual psychiatric disorder, their behavior often mimics a variety of disorders, and the unpredictable nature of these behaviors can put a lot of stress on family members. In fact, after years of living with someone who is addicted to drugs or alcohol (which is a serious brain injury) the stress can cause changes in the brain chemistry of other family members. This stress can in turn lead to a host of conditions including depression, anxiety, and even turning to substance abuse themselves. In situations like this, family members often develop unhealthy coping skills which must be unlearned if they are trying to begin healing and return to a normal life. Therapy styles and formats often differ for adults and adolescents, and treatment should always be decided based on the specific needs of the patient and/or their family. It’s important to determine the appropriateness and level of involvement of family members. Everyone should feel safe in order to voice their feelings and opinions without fear of resentment or retribution. Multidimensional family therapy (MDFT) – This style is most appropriate for adolescents and includes individual and family sessions occurring in an office, the home, or the community. Individual sessions will work to improve decision-making skills, communication and problem solving. The family sessions will explore the active parenting style and ways to positively impact the substance use. Family behavior therapy (FBT) – This style has value for both teens and adults. Its broad approach targets the substance use as well as mental health issues including depression and defiance, family problems, employment, and financial concerns. Treatment focuses on building skills to improve home life and developing goals to end substance use while providing rewards for accomplishing these objectives. Community and family approach (CRA) – This approach expands past the family to include the community as well. Sessions completed once or twice weekly involve learning ways to improve communication in the family and build a wider support system. The family is instrumental in identifying and modifying their role in the substance abuse. A better understanding of their addiction and how it affects their behavior. This is accomplished through education. Families may be evaluated as well to discover any opportunities for self-assessment and insight. Awareness of family dynamics. Families often adopt negative coping and communication patterns and behaviors which can contribute to perpetuating substance abuse. Every member of the family should be treated to affect the most successful outcomes. Improving communication. Families who come in for treatment are often in a situation where there has been little to no communication or emotional involvement, so improving communication skills is a necessity. Regaining trust. Deception is a common component of substance abuse, and many family members find it hard to trust their loved ones after repeated lies. Our goal is to improve communication so that families can have honest interaction and see positive change. Sharing feelings. This goes back to deception and manipulation being big parts of addiction. Family members are often angry but unable to express it, or they may be excited at the possibility of reconciliation and healing. Everyone should feel safe in order to voice their feelings and opinions without fear of resentment or retribution. Setting boundaries. Setting clear and fair boundaries isn’t always easy, but it is a necessary step for a family to make a heathy recovery. Learning self-care. In addiction treatment, the focus is on the person with the addiction. During family therapy, a parent or spouse may learn that they need help, too. They may be advised to attend groups such as Al-Anon, Nar-Anon or other family support groups in addition to finding an individual therapist. Additionally, the use of family group therapy delivers high benefits with low costs of care, and therefore organizations including the National Institute on Drug Abuse and U.S. Department of Health and Human Services strongly recommend family therapy be incorporated into any substance abuse treatment program. At Enterhealth, our goal is to restore the family to a healthy state so that they can heal as quickly as possible. Among the many skills we teach are healthy stress management techniques, helpful and clear communication strategies, ways to reconnect with outside support systems, as well as how to relate to family members with clear and loving boundaries. On the bright side, recovery can be habit forming in a positive way. Families that go through group therapy through Enterhealth report enhanced self-esteem, a renewed energy for life, increased emotional literacy and intelligence, increased life balance and an ability to make healthier life choices. Through engagement and by embracing recovery, family members can give themselves a new lease on life, and dramatically increase the chances the addict will sustain long-term sobriety. If you or a loved one is suffering from drug or alcohol addiction, we are here to help. To learn more about any of the therapies offered by Enterhealth, call (800) 388-4601 or visit Enterhealth.com for more information. I like how you mentioned that family members can benefits from family therapy, as it will teach them healthier ways to deal with their stress and issues. My cousin has a very angry family, so I think that family therapy may be able to help her out. Healing the addicted family: What is family addiction therapy?